Our fully functional and historically accurate wooden practice weapons and synthetic wasters are made from high quality materials, making them strong enough to meet and exceed all Martial Artist training and practice needs. A wooden sword or waster allowed a warrior to practice full combat safely and economically while preserving his precious steel for the real battle to come. 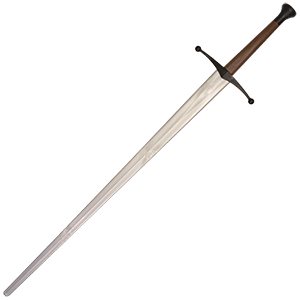 These wooden swords and wasters are fully seasoned and hand crafted in solid hardwood, with contrasting wood guard and pommel. These wooden and polypropylene swords are strong enough to meet the needs of today's swordsman or woman. Each can take the abuse of sparring and reenacting, even edge-to-edge sword fighting. Keep in mind, however, that wood can break along the grain so please practice responsibly. Synthetic swords offer increased durability, making them a good choice for more rigorous training or sparring. The designs represent edge weapons common from a number of periods and cultures. 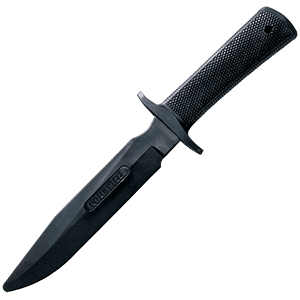 We have a full line of wooden swords and wasters available from wooden pirate swords, wooden daggers, wooden tantos, wooden bokens, wooden ninja swords and wooden samurai swords, as well as training weapons in polymers like polypropylene and more. Shop our wooden swords and weapons for high quality practice weapons perfect for martial arts training. Preserve your real steel for a real fight, and learn new techniques with our wooden training weapons and wasters. Made of high quality solid hardwood that can take the wear and tear of sparring, we offer wooden weapons in a wide variety of styles, including bokken swords, wooden medieval longswords, kendo bamboo swords, wooden pirate swords, and even wooden daggers. Keep in mind, however, that wood can break along the grain so please practice responsibly. 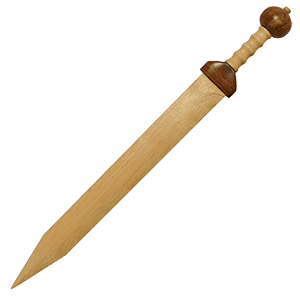 Also consider our wooden practice weapons for situations that call for just the look of a real sword, such as cosplay events, theatrical moments, or other costume use.